DEER VALLEY RESORT; PARK CITY, UTAH (June 12, 2018) – The voting window is officially open for Deer Valley Resort to once again achieve the title of United States’ Best Ski Resort. 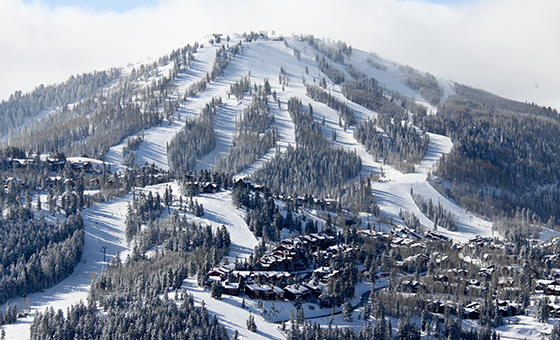 Deer Valley has garnered the prestigious accolade the past five consecutive years, and if won again, the resort will be in the running against other country’s winners for the World’s Best Ski Resort. Conducted by the World Ski Awards, winners represent excellence in ski tourism and the leaders shaping the future of the ski industry. Deer Valley’s Goldener Hirsch Inn is also a finalist for the United States’ Best Ski Boutique Hotel, which it has won in 2013 and 2015. The World Ski Awards is part of the World Travel Awards, serving as “the Oscars of the travel industry” for the past 25 years. To learn more about the prestigious award, please contact resort Senior Communications Manager Emily Summers at 800-424-DEER (3337), 435-645-6522 or view the resort's website. To follow resort happenings on social media, search #deervalleymoment.